I have an intense passion for movies, and I believe that film critics help people think better about the media they consume. The documentary Room 237 explores various fan interpretations of The Shining, which was directed by Stanley Kubrick and based on Stephen King's novel. As is typical of Kubrick, there is a lot of attention to detail in this movie. The audience is left wondering what the details mean, if anything, or if they're simply coincidental. But many fans of the film insist Kubrick is a genius, and that no detail is an accident in the film. And, even if not all decisions were made by Kubrick intentionally, the film could still be symbolic to audiences because of the postmodern theory of the "death of the author". This idea is that the author's voice is not the only one that matters when discussing fictional works. Indeed, with film, you have less of a single creator and more of a collaboration, in this case, between King, Kubrick, star Jack Nicholson, the other actors, and everyone who worked on the set. But it's also a collaboration with the audience, who is being challenged to come up with the deeper symbolic meaning of a film that, on the surface at least, doesn't make any sense. Thus, films can be seen as a dialog between spectacle and spectators. 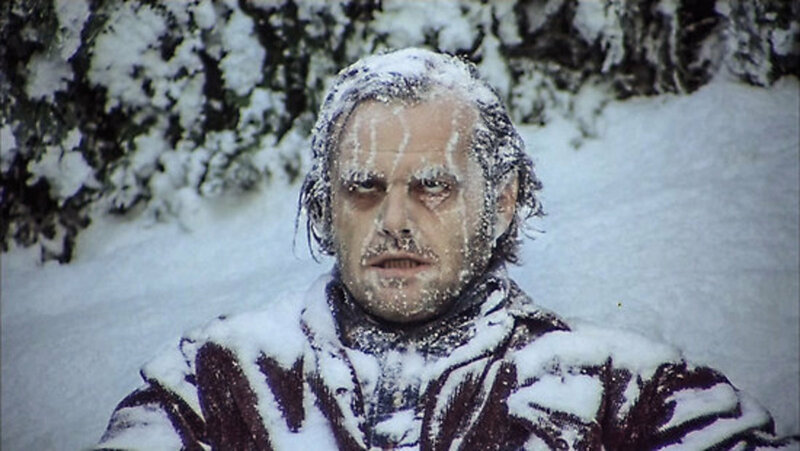 The story begins when Jack, a writer, accepts a job as winter caretaker for a remote Colorado hotel called the Overlook. When he arrives for the interview, the manager gives him a tour and tells Jack a bit about the history of the place, including that it was built on a Native American burial ground. The Overlook has no skiing because it's in an area that gets snowed in often. The hotel is therefore shut down during the winter. Jack accepts the job and his family moves to the Overlook. Things turn creepy as their child has psychic visions of horrible things and ghosts haunting up the joint. Eventually, Jack is driven to madness by these ghosts, and tries to kill his wife and son. It's a commentary on the insanity that can be bred by isolation, imprisonment, and the influence of tragic events in the past. There's something inherently wrong with the human personality. There's an evil side to it. 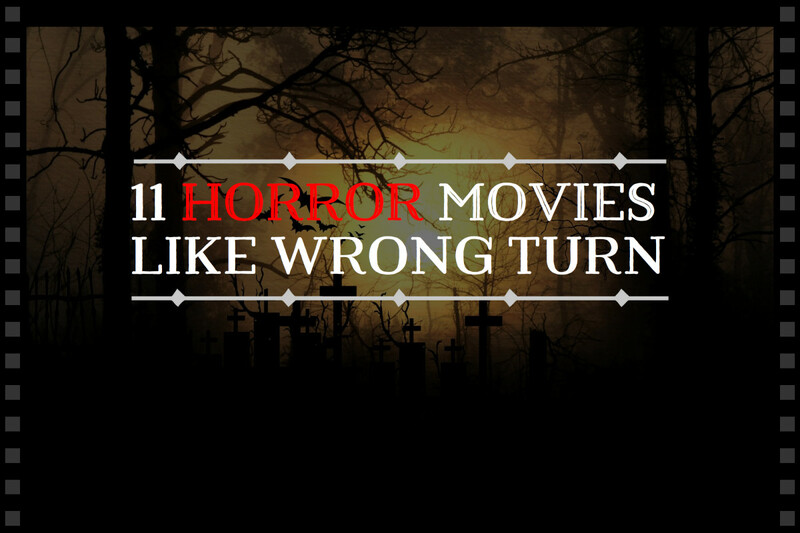 One of the things that horror stories can do is to show us the archetypes of the unconscious; we can see the dark side without having to confront it directly. The Producer Circle Company, Peregrine Productions, Hawk Films, Distributed by Warner Bros. Odd Details in "The Shining"
There are some "odd coincidences" fans insist must not be merely coincidental, because Stanley Kubrick was a notoriously fussy director. The actors grew extremely frustrated with the number of times their lines got rewritten. Kubrick was meticulous about detail in the way that only an insane genius could be. In a scene dealing with Danny's visions, he has a picture of Dopey from Disney's Snow White and the Seven Dwarves that vanishes from his wall. This is probably a reference to the fact that he is enlightened by his visions, no longer "dopey" or foolishly unaware. In one scene, a ball rolls to Danny along a line on the carpet, and then later the pattern of the carpet has changed, making the hexagon now appear closed. Symbolically this may mean how, like the cars within the hexagon, the ball is trapped and cannot go back the way it came. This could be a reference to historical tragedy, or about the confining nature of the Overlook itself. In one scene, a chair in the background disappears. 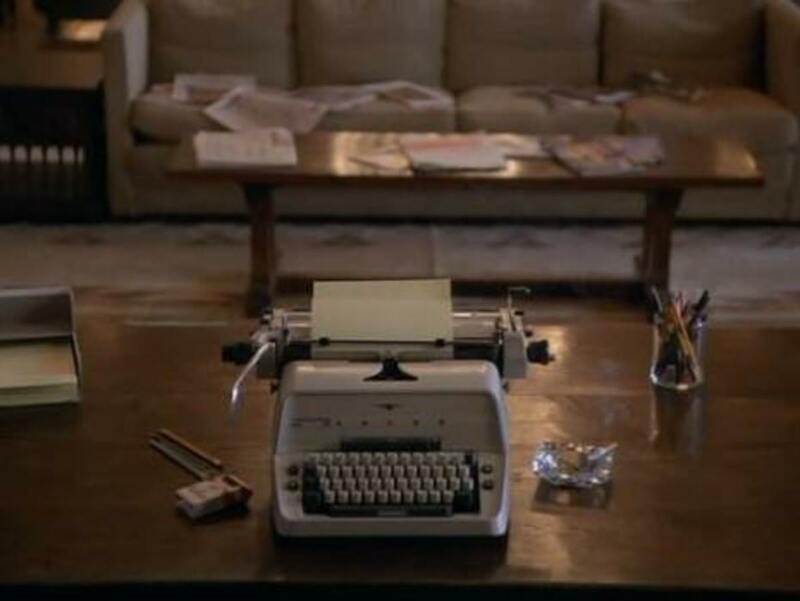 Jack's typewriter is white at the beginning of the film and is later replaced with a dark grey one. Perhaps this symbolizes Jack's descent into mental and emotional darkness. The television has no visible electric cord, even though it's on. The layout of the hotel is physically impossible, and many rooms don't make sense geographically or change in odd ways. There are others, but those are the main details fans pointed out as strange. One critic of the documentary Room 237 that discusses these called their interpretations apophenia, which is the human tendency to perceive meaningful patterns within random data. But the thing is, nothing Kubrick put into any of his movies was random. What I think he's doing is calling attention to background elements that we would normally overlook (! ), because minor background details in films are usually not significant to the plot. But Kubrick makes details conspicuous by making them change; both as differences from the book and in terms of continuity "errors" that are probably not errors at all, but deliberate changes made to either enhance the symbolic message of the film, or to simply make you think about the background details just as much as you would think about the characters and the more obvious elements of the story. 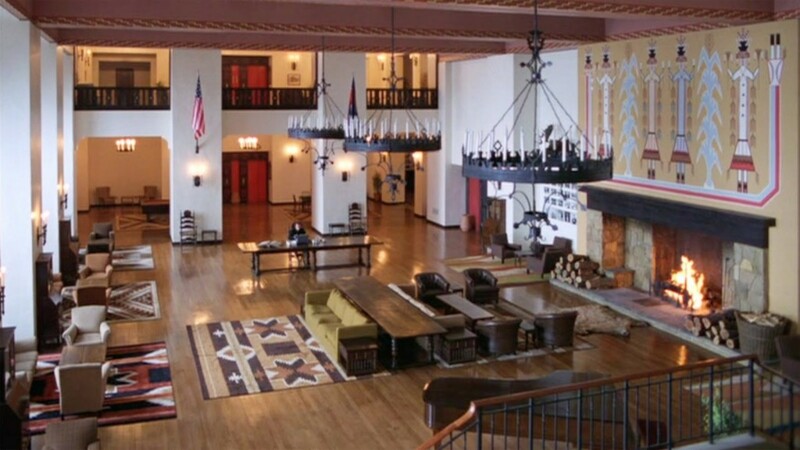 This is the theory for which there is the most evidence, because Native American decorative motifs abound in the movie. Also, there are flapper girls wearing feathers in one scene, which may also be an allusion to Native Americans and their stereotyped association with feathered headbands. A food can in an introductory shot is called Calumet, a native word meaning "peace pipe". Later, this is where Jack is locked by Wendy after attacking her, representing the U.S. government's history of making "peace" and subsequently breaking its promises with Native American groups. Finally, Jack swings an axe, which is a weapon associated with the stereotypical Native American warrior. "Bury the hatchet" is an idiom for making peace that comes from Native American culture. 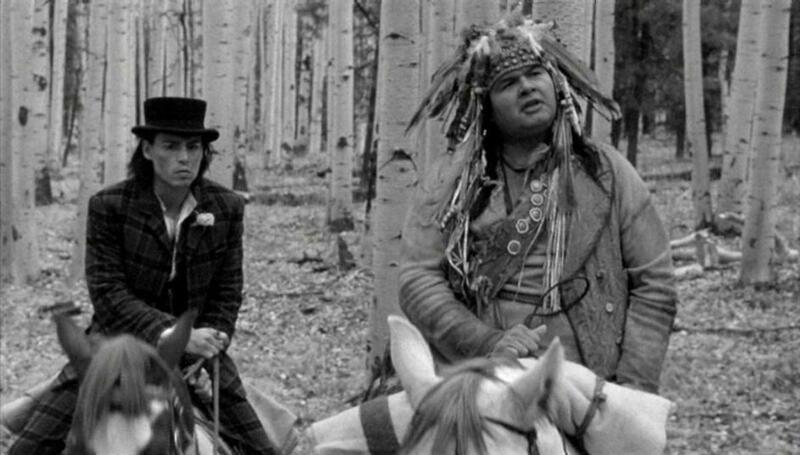 Again, the film seems to be commenting on the American Government's history of fragile, duplicitous, and unsustainable peace treaties with Native Americans. Jack's typewriter is seen as a symbol of the Holocaust's ruthless bureaucracy and the idea of mechanical coldness. Jack takes something usually personal, intimate, and emotional like writing fiction and instead copies the same idiom, "All work and no play makes Jack a dull boy" over and over again, like a machine. This suggests the meaninglessness born out of repetition, much like the work of Andy Warhol. But it also can suggest the cruel, mechanical efficiency of the Holocaust. The typewriter even changes midway through the film, becoming darker, and is also a German-made typewriter both times. Red, black, and white are colors that show up a lot in the Overlook, especially around Jack, perhaps being used as Nazi symbolism. One scene is filmed with the camera looking through a mirror at the actors. This is probably symbolic of Jack's loosening grip on reality, and two worlds intersecting, the world of the past/ghosts and the world of the present. One could interpret the above ideas in combination as contributing to an overarching theme of the movie, the fact that we cannot let go of the pain of the past. Mirrors, the twins, and walking backwards are all visual motifs that seem to point to this idea. Mirrors represent "reflecting" or thinking deeply about the past, and they show up a lot in the film. The twins say "play with us, forever", meaning that you cannot escape or run from the past. 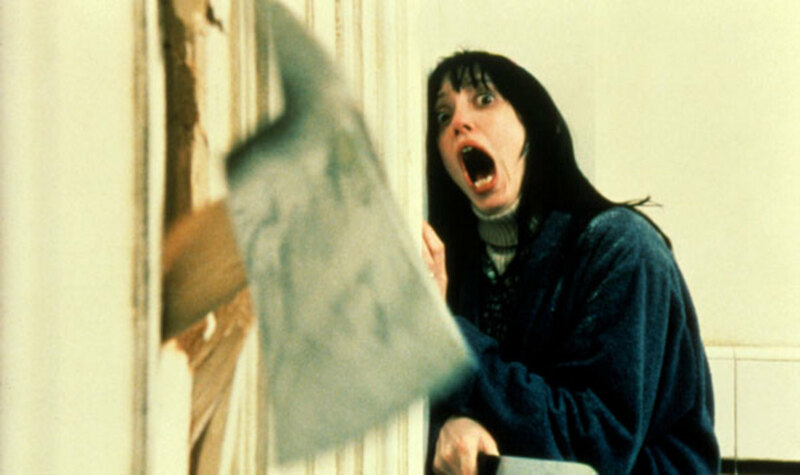 Walking backwards is also a theme that shows up when Wendy keeps backing up up the stairs with the baseball bat in a scene where she's arguing with an increasingly belligerent Jack, and Jack backs out of Room 237 when confronted by the ghost woman in the bathtub. 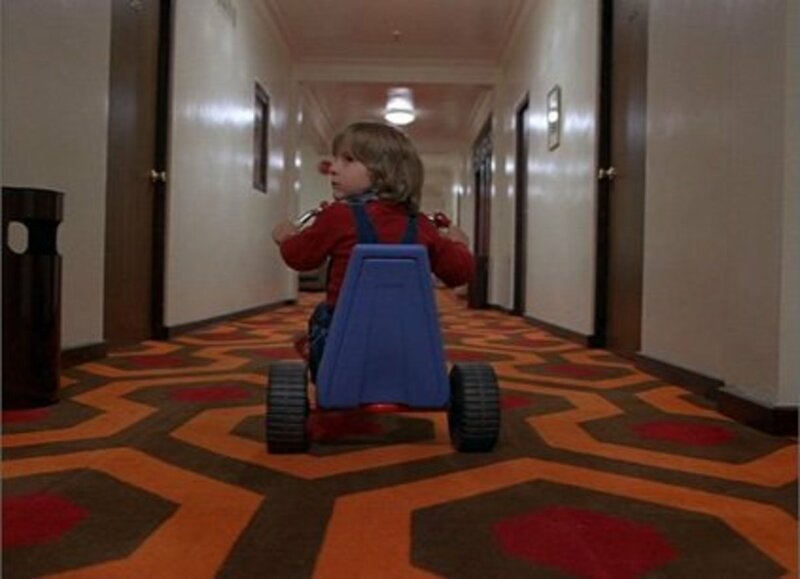 In the beginning of the film, you have the famous scenes of Danny riding his three-wheel around the hotel's maze-like hallways, and he doesn't go backwards. The final scene when he flees from Jack, who chases him into the hedge maze with an axe, employ a similar long, meandering, tracking shot of Danny and his footprints, which Jack follows. In order for Danny to escape, he has to stop in his tracks, back up a bit, and hide, crawling under the hedges. This can be interpreted symbolically as representing a need to go back and retrace one's s steps by not repressing history, but instead learning from it. 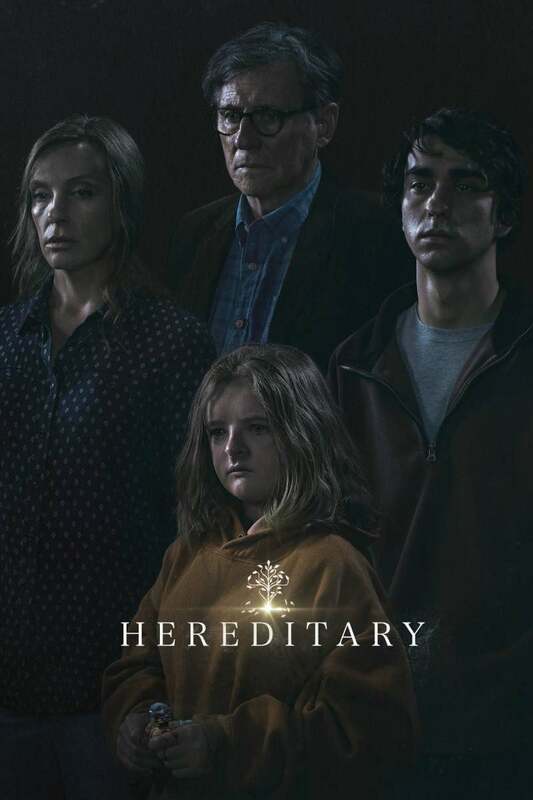 Another interesting thing is that the film, if watched with a backwards version of itself superimposed over it, yields a lot of new meanings and possible interpretations of various scenes. 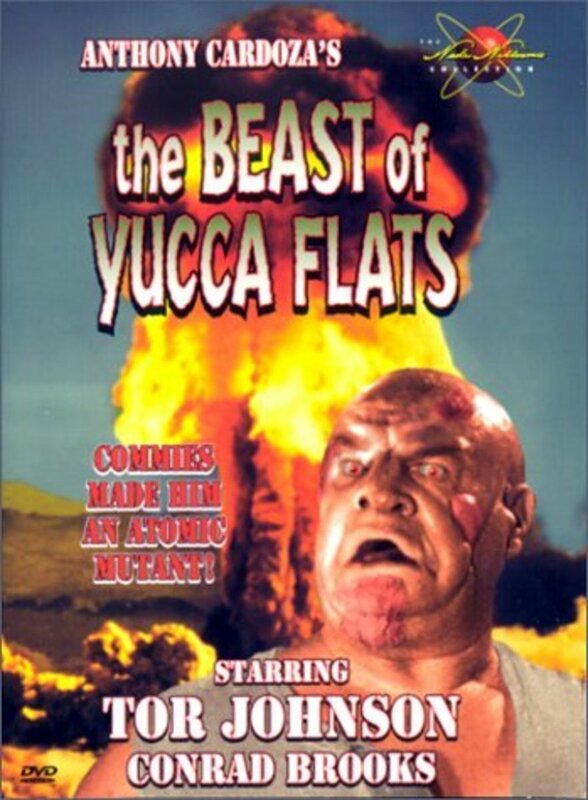 I would suggest searching for a copy of this and watching it for yourself, if you really want to freak out. There is a widely believed conspiracy theory that Kubrick directed moon landing "footage", which they believe to be fake. They believe that hints of this are alluded to in 2001: A Space Odyssey but that this movie is about the guilt that Kubrick feels for accepting the job and keeping it hidden. This is a movie about a writer whose creativity is being hampered by torturing spirits, and similarly, say certain fans, it's about Kubrick being haunted by guilt over his part in faking the moon landing. 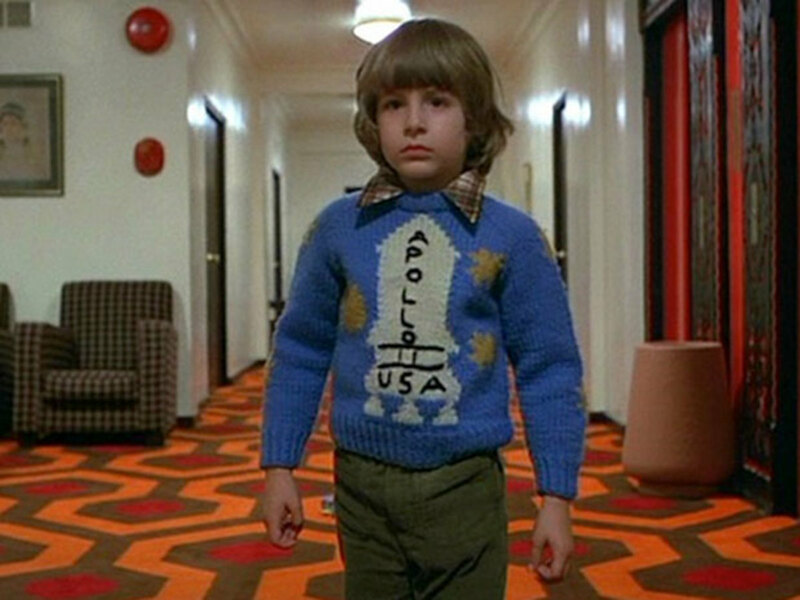 Room 237: One thing that puzzles people is why Kubrick changed Stephen King's number for the horrible forbidden room from 217 in the book to 237. 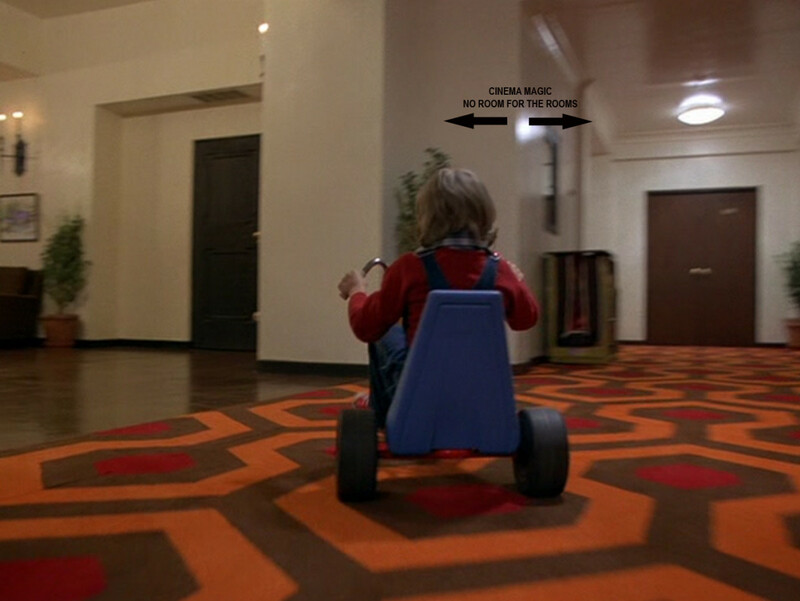 That's why a documentary on these symbolic references in The Shining is called Room 237. The name change is one of many changes Kubrick made from the book for reasons that are a total mystery, such as the Volkswagon being red in the book to yellow in the movie. Labyrinth and Minotaur: Jack by the end of the film is like the Minotaur, he's become a monster. The final chase of the movie takes place in the hedge maze. Hansel and Gretel: The reference to a "trail of breadcrumbs" while walking the kitchens - a reference to the oven in the story. That story being referenced could also be an allegorical reference to the Holocaust. Grief and trauma: The "going back" motif could not just be talking about past historical tragedies, but about personal ones. Jack has a personal tragedy of drunkenly injuring his son in the past, and part of his descent into madness involves his guilt over this and desire for it to just go away, but the film is clearly making the point that bad things in the past don't just disappear because we want to forget. Faust: Jack says he'll sell his soul for booze, and then a figure in red (whom he treats like an old friend, even though in the movie, he's never been shown before) appears, as does alcohol on the bar shelves that were previously bare. Later, Jack offers to pay him for alcohol and it's on the house. Afterwards, when Wendy is saying she wants to take Danny to a hospital because of his troubling visions, Jack gets defensive, raving about his obligations to "employers" and a "contract", which sounds more like a deal with the devil than like the actual employment contract. The bartender is the one who urges Jack to continue trying to kill his family after being locked in the pantry by Wendy. 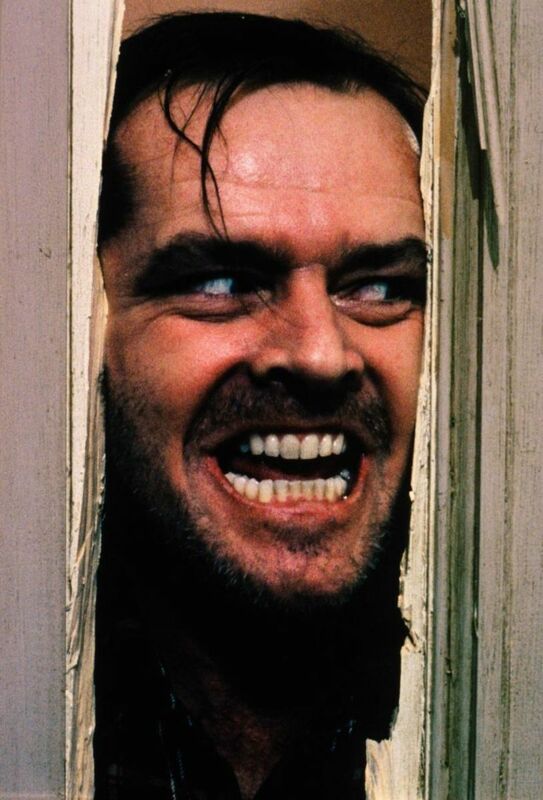 Madness in isolation: An idea of this movie is that Jack and the ghosts of the Overlook have gone mad due to the remote, isolating nature of living there. "Cabin fever" is mentioned in the beginning when the staff are talking about the hotel's history. 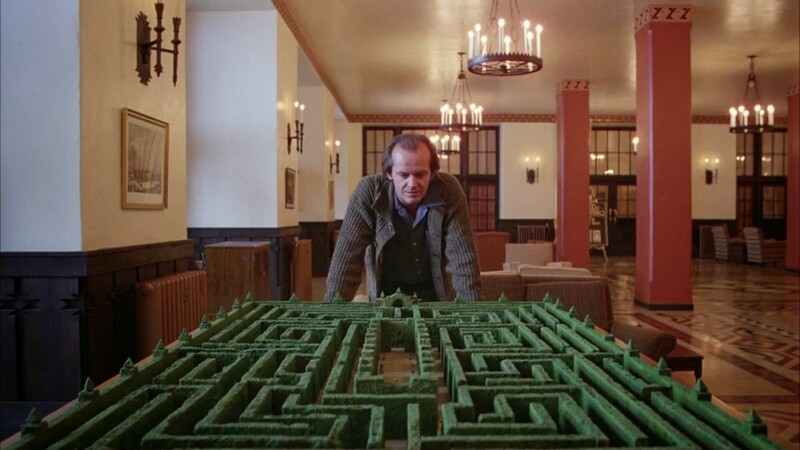 Creativity and imagination - gone wrong: As a writer, Jack slowly gets lost in the fantastical aspects of the Overlook, seemingly losing his grip on reality. This could be a commentary on how creative minds are susceptible to just that. Was Kubrick as much of a genius as they say, or did he make mistakes in the film the fans are merely ascribing more meaning to than was intended? What do we gain from The Shining, and what, if anything, was the film trying to communicate with us through symbols and metaphors? Maybe we'll never know for sure, but it can be fun to think about. 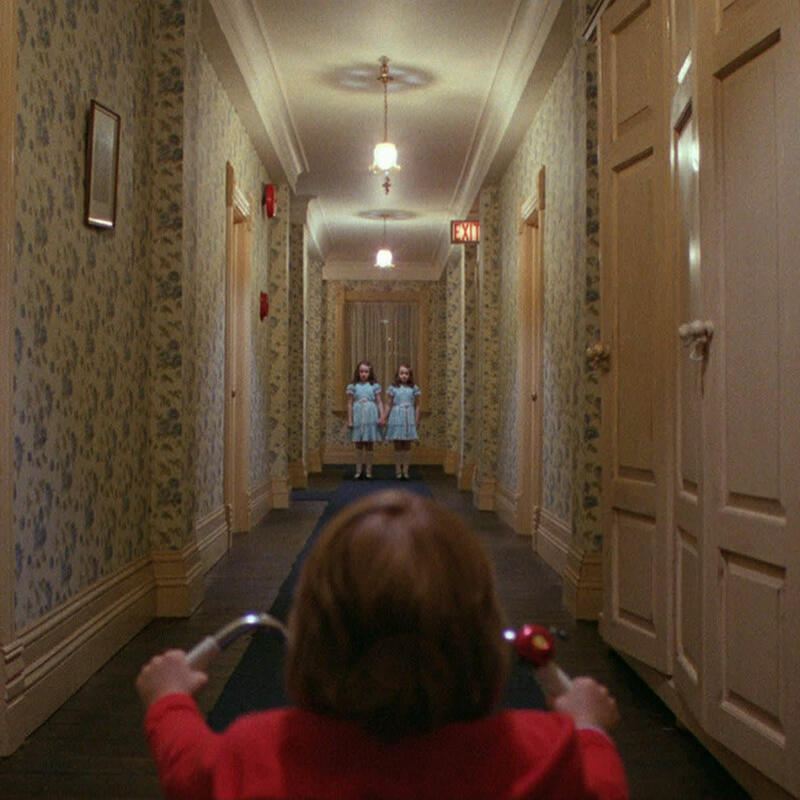 Was the hallway in which the twins scenes occur in the Shining also filmed in the studio or a real hotel? Yeah, to be honest some things in the documentary did kind of seem like they were reaching for it, but I liked the general thematic interpretations. I watched that documentary, and some of it was interesting, and some I just didn't get. I never did see Kubrick's face in the clouds at the beginning, didn't understand the background action that one person was pointing out in the scene where Jack is interviewed for his position at the Overlook, and the symbolism of the skiing poster on the wall. I do think that some of the theories in the documentary are the result of overthinking, but there is a lot to look at and reflect on in that movie, and if anything, Room 237 made me more aware of that. Nice summary!